search/click on ENDTiMEZ (#ENDTiMEz) for other videos and as well see my articlez (on linkedin). Just BE GOoD as possible from here on out, old covenants no longer apply, but in allways those who serve the great/er/est GOoD will have an ALLL seeing eyez (and ONboard spirituALLLz GPS) for a guide back hOMe. We can't wait to seee y'all there. #iPetGoatII *I believe and have evidence for* is an extension to the #EndTimes #WW3 prophecies in the biblical (and Hopi) revelations, It is complemented (double witnessed) with the other #IlluminatiArt found in major institutions (Denver International Airport (DIA) Murals, Bank Of America. It is either predisclosure by the enemy, Holy Spirit inspired, remote viewing or some mix. The video made in 2012, and DIA murals 1990, contains details that could not be known or reasonably expected at the time. E.g. Trump as president. ALL sources, say the basic same story, as cleanly seen in the Summer/Winter solstice Google Doodles ( https://youtu.be/nPOHO_4LFRU ) : - the end times events, plausible order, and timeframe - 5 judgements ATTACKS ending America/USA via WMDs part man, amplified by nature #1 Kilauea/PGV/Lilio/Hilina Slump =MegaTsunami #1 #2 West Coast via Tsunami#1 #3 Russia sub/torpedo = MegaTsunami #2 = EAST COAST (north) & (possible) hypersonic Nuke on Flordia. #4 High Altitude EMP ending mobile phone, electric power, and internet, and all dependent on it. #5 Hoover Dam Destroyed = ending power for Vegas and much of that area. At this point Obama will be killed by a mortal head wound bullet, and likely there will be 3.5 days of darkness and shaking and (obama) “hope” lessness. 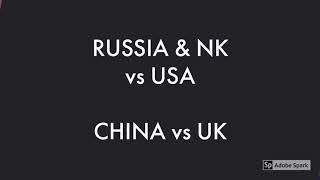 -1 judgement ending UK #1 “Rod of gods” Kinetic Weapons (non nuke) by China -judgements against the WORLD (#6) Antichrist ....tribulations (GSM, Magnetic Pole shift, Extreme weather) - rapture/death options #1 BRIDE - pretrib (any time) for Child Life Faith #2 BODY - at trib start (as missiles and demons come DOWN, they go UP) #3 WW3 DEATH - from the attacks, battles, natural calamities (earthquakes, killer hail/weather) #4 TRIBULATION SAINTS - those who believe in Christ and are beheaded instead of taking the mark (note Death is not something to fear, see youtubes many ‘NDE’ (near death video) videos, my experience is similar), I liken the experience of seeing the real world that makes this place seem like paper mache, and God’s love similar to color blind getting Enchroma glasses and seeing color for the first time. It’s that revelatory. See the list I’ve put together, the first 2 are medically impossible to explain via conventional so called science. Which goes to show that Science that fails basic open mindedness for dogmatic is just another false religion when it comes to answering the eternally important questions. https://m.youtube.com/playlist?list=PLRM7OjDB_J73YZogXG6d6e2Q0a617DJ7h #5 2nd COMING - last bus home. - trump and obama 10 other Antichrist disciples death and unification into the Full incarnated Antichrist *(Souls Stack/Superimpose)* TRUMP is killed (likely setup by Obama & Putin) in the #3 NY tsunami attack. OBAMA is killed (likely setup by Trump/etc) in a unknown but likely sniper attack. This is the mirror of the BRIDE+BODY of Christ’s “new creation” after receiving their “incorruptible glorified” bodies of Light. At best estimation, Trump fires first, likely Iran with Israel, in a stealth bomber attack, and low yield nuke. Possibly NK at the same time. run and our bodies are provided by Satan (#TeamDark) the first level of the bottomless pit, soul remedial school, insane asylum I will posts few videos, but updates as I find them are on twitter for now https://mobile.twitter.com/troy_gardner/ -MORE INFO ------------------------------------------------ search/click on ENDTiMEZ (#ENDTiMEz) for other videos and as well see my articlez (on linkedin). My Advice to the remnant, Just BE GOoD as possible from here on out, old covenants no longer apply, but in allways those who serve the great/er/est GOoD will have an ALLL seeing eyez (and ONboard spirituALLLz GPS) for a guide back hOMe. We can't wait to seee y'all there. 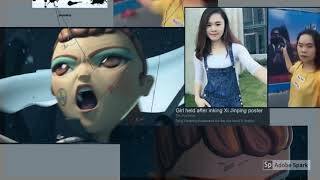 This video looks at the "Ink girl" #InkGirl of Dong Yaoqiong who on July 4th defaced China's new Emperor for Life Xi Ping, via a traditional ink on face, then same day was taken by police and status is still unknown. Making it Tianamen square 2.0 There is many ties/crosslinks to show #iPetGoatII uses this from ink, to brushes, to her twitter feed. The tank/girl&flag setup scene mimics the #Tiananmen_Square protests in China of 1989 https://en.wikipedia.org/wiki/Tiananmen_Square_protests_of_1989 My prayers go out to her & her family/friends, and admiration for doing what few are brave enough to do. NOTES: This is version .9 as I'm out of time for this eve ...MVP+ (Minimal Viable Plus)..aka good enough for youtubz No narrative audio on this part as you can supply your own, part as hole making spirit (deprecated) borked my entire tech setup multiple timez (across many fallback/redundancies) to the point reallly couldn't do anything online. -MORE INFO ------------------------------------------------ search/click on ENDTiMEZ (#ENDTiMEz) for other videos and as well see my articlez (on linkedin). Just BE GOoD as possible from here on out, old covenants no longer apply, but in allways those who serve the great/er/est GOoD will have an ALLL seeing eyez (and ONboard spirituALLLz GPS) for a guide back hOMe. We can't wait to seee y'all there. 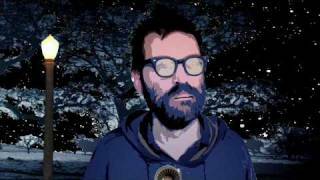 EELS - End Times - from END TIMES - out now! 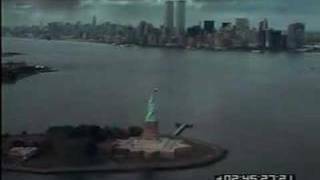 God Speaks To Me In A Dream, NYC Nuked, WW3 Soon, Tribulation, And Scripture Warning. There is some audio issues with this video Please try this link: https://www.facebook.com/video.php?v=770591752990285 TheJourneyofPurposeTJOP www.facebook.com/thejourneyofpurposeTJOP www.instagram.com/TJOPofficial An inspiring video to encourage us to seek passion in life and live fully, appreciating the life that we have been given. Featuring: Randy Pausch, Steve Jobs, Will Smith, Stuart Scott Music: Tony Anderson - Rise Tom Day - Going Home Follow TJOP: www.facebook.com/thejourneyofpurposeTJOP TJOP takes no credit for any music or footages in this presentation. All credit to the owners of the music and footages presented. Jesus of Nazareth: "Don't be afraid, I am with you every day till the end of time." Lord Jesus, please come into my life I humbly beg you. Visit: http://otgministry.com Email: [email protected] Prayer Requests: http://otgministry.com/prayer-requests End Times Signs The times we live in are historically unprecedented. Only this generation has seen them. There are many biblical signs, such as: increased violence worldwide (as in the days of Noah), increased apostasy, increased cults and false religions and false prophets, increased natural disasters such as frequency of earthquakes, and more. For these and many other reasons, is it any wonder that millions believe the return of Christ is so near? Polls show that even non-believers think the world is at such a point. This is the most exciting time in all history to be alive! End Times Signs Share this Video: https://youtu.be/bqdtjJXomUM Subscribe to my Channel End Times Signs I personally recommend watching: https://youtu.be/i64KN9wyGws Copyright and 'fair use' disclaimer: This educational video may contain copyrighted material the use of which has not always been authorized by the copyright owner. We are using this material strictly for educational purposes ONLY. We believe this constitutes a 'fair use' of any such copyrighted material as provided for in section 107 of the US Copyright Law. In accordance with Title 17 U.S.C. Section 107, the material used in this video is distributed without profit. The views expressed in this video are solely the views of the creator of this video teaching and NOT to reflect the copyrighted material directly. 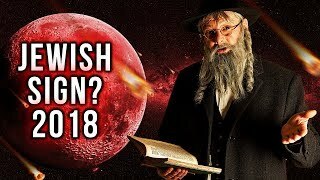 JULY 27 2018 BLOOD MOON - Is It an END TIME SIGN For The JEWS? 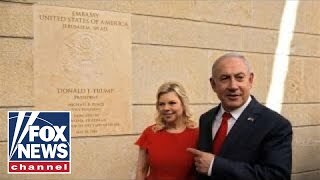 Current Events Linked To Biblical Prophecies. Everything is unfolding just as the bible foretold. Wars, Volcanic Eruptions, Earthquakes, Extreme Weather, Christian Persecution, Apostasy, Violence, Asteroids and more! Matthew 24:3-14 3 Now as He sat on the Mount of Olives, the disciples came to Him privately, saying, “Tell us, when will these things be? And what will be the sign of Your coming, and of the end of the age?” 4 And Jesus answered and said to them: “Take heed that no one deceives you. 5 For many will come in My name, saying, ‘I am the Christ,’ and will deceive many. 6 And you will hear of wars and rumors of wars. See that you are not troubled; for all[a] these things must come to pass, but the end is not yet. 7 For nation will rise against nation, and kingdom against kingdom. And there will be famines, pestilences,[b] and earthquakes in various places. 8 All these are the beginning of sorrows. 9 “Then they will deliver you up to tribulation and kill you, and you will be hated by all nations for My name’s sake. 10 And then many will be offended, will betray one another, and will hate one another. 11 Then many false prophets will rise up and deceive many. 12 And because lawlessness will abound, the love of many will grow cold. 13 But he who endures to the end shall be saved. 14 And this gospel of the kingdom will be preached in all the world as a witness to all the nations, and then the end will come. FAIR USE NOTICE: This video may contain copyrighted material. Such material is made available for educational purposes only. This constitutes a 'fair use' of any such copyrighted material as provided for in Title 17 U.S.C. section 106A-117 of the U.S. Copyright Law. The teachings and the doctrines of most of Modern Christianity is based on on the mixing of pagan ideas that have been reformulated to look like bible teaching's. Christ's warning to Christians is that these doctrines are an abomination to God, who commands all to worship in the spirit of sincerity and truth. We have to make a decision today while there is opportunity as to whether we will stand with God or with mans traditional and false teachings. Other Channels we recommend https://www.youtube.com/BibleProphecyHD https://www.youtube.com/ChristadelphianVideo Bible Truth about Prophecy, - Welcome to our channel run by the Christadelphians Worldwide to help promote the understanding of God's Word to those who are seeking the Truth about the Human condition and Gods plan and Purpose with the Earth and Mankind upon it. We are always keen to receive your feedback, you may leave comments in the comments area below or alternatively email us at [email protected] and we will get back to you with a reply as soon as we can. Note: Comments with links to other videos or websites will be removed. For more information on the Christadelphians visit You can follow us online at.. http://bibletruthprophecy.b­logspot.co.uk/ https://twitter.com/Christadelph https://www.facebook.com/BibleProphecyTruth https://sites.google.com/site/truebibleteaching/ https://www.youtube.com/user/ChristadelphianVideo Read a variety of booklets on-line concerning various key Bible subjects. http://www.thechristadelphian.com/read_booklets_online.htm Bible Truth & Prophecy is a remarkable on-line tool for establishing just how far removed from the teachings of the Bible mainstream Christian teaching has become. End Time Prophecies are interpreted using the Bible, not man made ideas or notions. Key Biblical subjects such as the Trinity, Devil/Satan worship, Holy Spirit Gifts & much more are all dealt with extensively from the Bible's viewpoint and not man's.We will demonstrate how Christian beliefs have become corrupted, and reveal the 'Truth' as taught by the 1st Century Apostles. 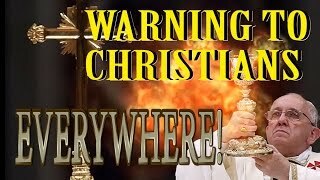 END TIMES SIGNS LATEST EVENTS AND GOD'S WARNING (APR 5, 2018) Every videos insights into Biblical prophecies or new examples of events that are happening today, which are fulfilling prophecies related to the Return of Christ. We are truly in the end times and really close to the return of Christ, help us reach out to those who don’t know Jesus so they can be saved, please and thank you! God bless you all. 90% of my revenue does go to local charities/animal and nursing home. THANK YOU SO MUCH TO ALL MY VIEWERS/SUBS. GOD BLESS U AND UR FAMILY'S. Visit: http://otgministry.com Email: [email protected] Prayer Requests: http://otgministry.com/prayer-requests End Times Signs The Bible is very clear of who Satan was and how he fell from Grace. Satan tried to overthrow God and rule Heaven. He was cast down to earth to reign for a short time. Satan's sole goal now is to destroy as many humans as possible, so that they can spend eternity with him in hell and he can finally be the ruler (evil) that he has always wanted to be. There is not much time left and you need to decide whom will you serve . . . Jesus or satan? End Times Signs Please Share this Video: https://youtu.be/bpNqWk7ZqGs Please Subscribe to my Channel End Times Signs I personally recommend watching: https://youtu.be/i64KN9wyGws Copyright and 'fair use' disclaimer: This educational video may contain copyrighted material the use of which has not always been authorized by the copyright owner. We are using this material strictly for educational purposes ONLY. We believe this constitutes a 'fair use' of any such copyrighted material as provided for in section 107 of the US Copyright Law. In accordance with Title 17 U.S.C. Section 107, the material used in this video is distributed without profit. The views expressed in this video are solely the views of the creator of this video teaching and NOT to reflect the copyrighted material directly.